As a nice little finale for the Portfolio Booster II course, I arranged two very different male models. 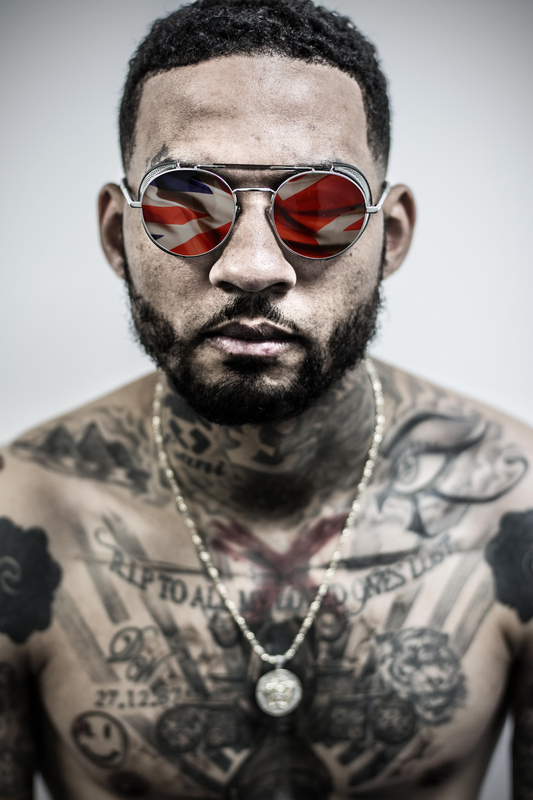 One was Daniel Specta, a heavily tattooed young fella with a great look and wonderful taste in sunglasses. Like most of the group, I photographed Daniel using only the continuous modelling lights of the flash heads and then the ambient lighting that can be found in the corridor outside my studio. And that is where I took this shot. Daniel’s ace shades were just crying out to be messed with in post-production, so I did.